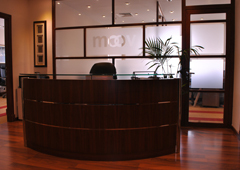 MOOV is the ultimate one-stop resource for all your acoustic wall application requirements and raised floor systems. Get rid of all your noise disturbances and feel the difference on incorporating our acoustic products. We provide various solutions for acoustic wall panels and floors applications for multiplex theaters. We integrate various solutions for acoustic wall panels and floors applications for auditoriums. We implement various solutions for acoustic wall panels and floors applications for recording studios. Why wait more? Contact us right now ! Call +971-4-331-0000 to speak with one of our knowledgeable wall applications and raised floor systems specialists. Our specialists can assist with design and offer onsite or over the phone consultation during normal business hours Saturday to Thursday, from 9am – 6pm (UAE Standard Time ).